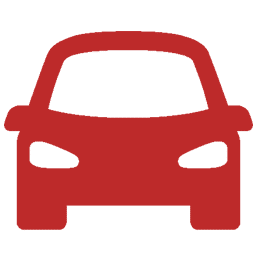 Different types of Audi navigation systems have been found depending on the model, the vintage and the car’s equipment. Most of these systems show the initial screen with the name “Audi Multi Media Interface”, and they have a very similar menu appearance. As a result, they are often considered one and the same system. Audi has in its offer several navigation and multimedia systems, such as BNS 4.x, BNS 5.x, MMI 2G Low / Basic, MMI 2G High, MMI 3G Low / Basic, MMI 3G High, MMI 3G + , Audi RMC, RNS-D, RNS-E, RNS-E 2010, Audi Concert, Audi Chorus, Audi Symphony. 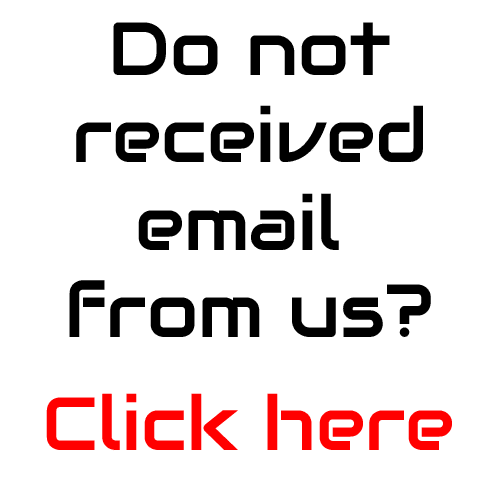 Types of Audi navigation systems – how to distinguish MMI 2G, 3G, 3G +, RMC? The easiest way is to check the software version that is loaded in the system. To do this, enter the car menu by pressing the CAR button, then press SETUP or MENU, then select the “Version” submenu and read the value from the line marked with the letters “SW“. 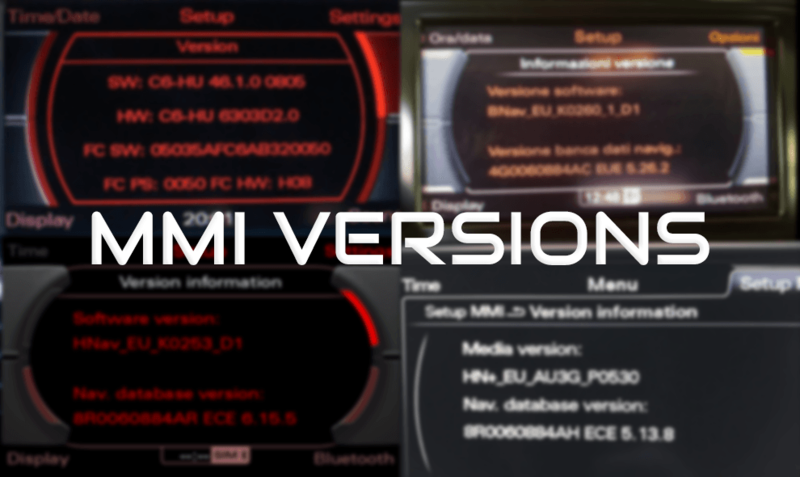 There is also MHIG_ mounted in Audi A3 which is not any of above – we don’t have firmware update for it..
We have created tool which can help you recognise if there is new update for your MMI. Click here to get there. Next Next post: Wiadomości z UpgradeMyAudi.pl trafiają do spamu. I have audi a6 with RMC MMI small size screen, and i want to upgrade it to the 3G+ “HN+”. Actually I just want to upgrade my screen size to the bigger can i just change the screen or i have to change the whole system ? Hi I have a 2007 Audi S8 D3 V10 with 2g mmi and a jap import, i have jap laungauge and radio and satnav do i need to change all units for UK/Europe? Hi, unfortunately yes, you have to change the whole unit for European version..